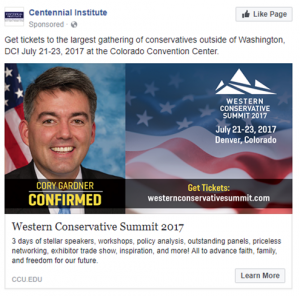 Gardner’s appearance at the conservative gathering may draw progressives to the event along with others who’ve been clamoring for an in-person town hall meeting with Gardner–even going so far as to direct questions to a cardboard cutout of Gardner at a Denver school earlier this year. Ticket prices at $200 for the weekend-long event (July 21-23) may dissuade folks who aren’t committed to the conservative cause, but day passes ($120) and “Patriot” passes ($100) for those under 30 (and educators, military, and others) are available. 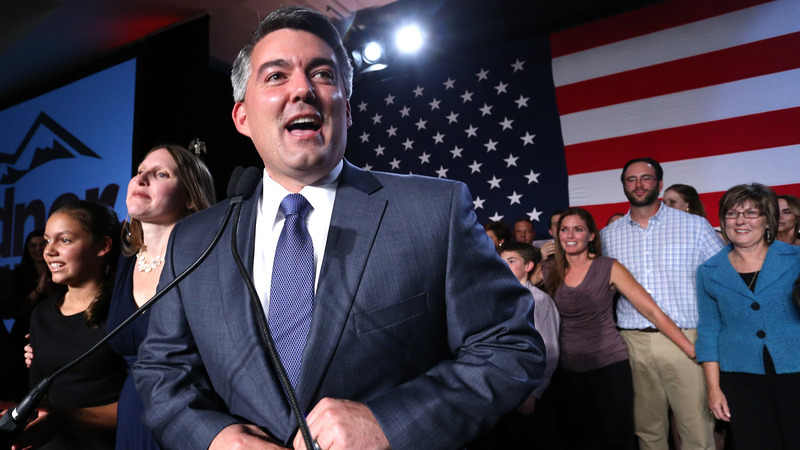 Gardner is the only member of the Colorado congressional delegation who has not held a town hall meeting since the election of Trump. He’s spoken to numerous private groups, however, and he’s held conference calls with thousands of constituents.